Stressed about planning that bachelor or bachelorette party for your newly-engaged friend? Start by considering a party-friendly destination like Nashville, Charleston, or Scottsdale. Live music and affordability make Nashville a popular destination for pre-wedding festivities. We suggest staying at The Westin Nashville or Millennium Maxwell House Nashville, which are both ideally located near Music City Center and the best bars and restaurants. Bonus: both of these options also offer nightly live music! No trip to Nashville is complete without a visit to the infamous Tootsie’s Orchid Lounge. 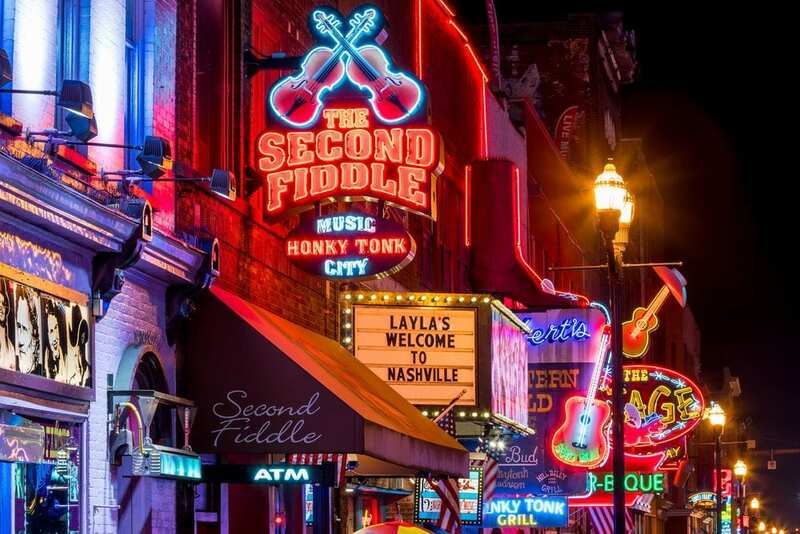 The country music institution and world-famous honky tonk has been open since 1960 and boasts four floors of live music, dancing, drinks, and food. Other places to try include Mas Taco Por Favor in East Nashville, Hattie B’s Hot Chicken in Midtown, Edley’s BBQ, and Arnold’s Country Kitchen in downtown Nashville. Pre-planned activities are always a hit for party groups like bachelor and bachelorette parties. Consider booking your group on the Music City Sightseeing tour. This tour is ideal for smaller groups (up to 7 people). You’ll want to spend some time on Music Row, peruse some of the museums and other tourist sites like The Grand Ole Opry House, and don’t forget to check out The Belle Meade Plantation or the Belmont Mansion. Both were built in the 1850’s and offer a glimpse into life in the South pre, during, and post-Civil War. Charleston is a well known wedding destination, and has also become increasingly popular with those celebrating their final days of singledom. Two great options for hotel stay in Charleston are The Mills House Wyndham Grand Hotel and the Doubletree Charleston Historic District. The Mills House is a bit pricier, but a very unique hotel with tons of charm in the heart of historic Charleston. 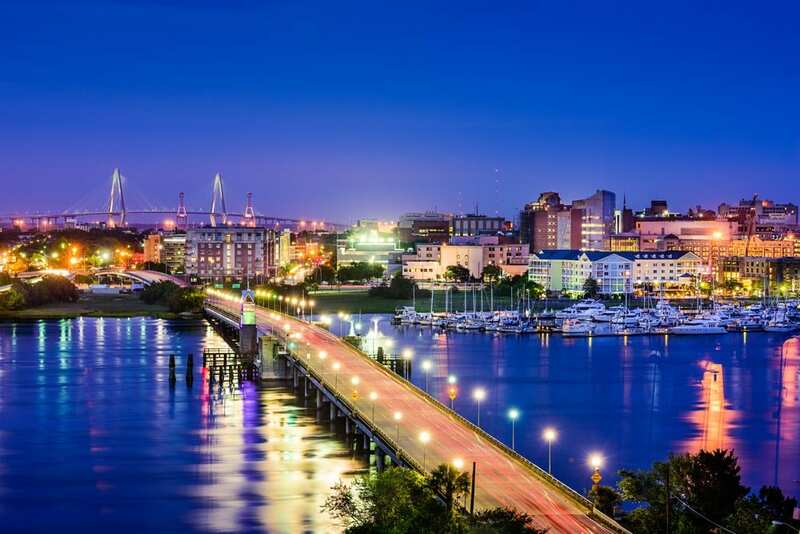 Doubletree Charleston is also located in a great location within walking distance of the historic district and King Street. Another plus: this hotel boasts oversized suites – some of the largest among downtown Charleston hotels! Charleston has great options for all meals from breakfast to lunch, but I have heard incredible things about two of their brunch spots! Hominy Grill is located inside an actual house – the main dining room sits in the former living room! Order one of their classic brunch menu items like shrimp & grits or huevos rancheros. Stars on King Street is also amazing for brunch, serving seasonally-inspired cuisine with local ingredients, sustainable seafood & meats, and specialty dishes prepared on a live firewood grill and rotisserie. Other great eats options include Husk, The Ordinary, and Callie’s Hot Little Biscuit. We suggest booking the Ghosts of Charleston Tour for your group. This nighttime walking tour leads you through centuries-old alleys with stories and the history of the ghosts of Charleston. This includes exclusive nighttime access to the 18th century Unitarian Church Graveyard. Other great group activities and attractions in Charleston (other than bar-hopping) include the City Market for shopping, Waterfront Park for great views, and several monuments, museums, preserved plantations, and stately mansions. 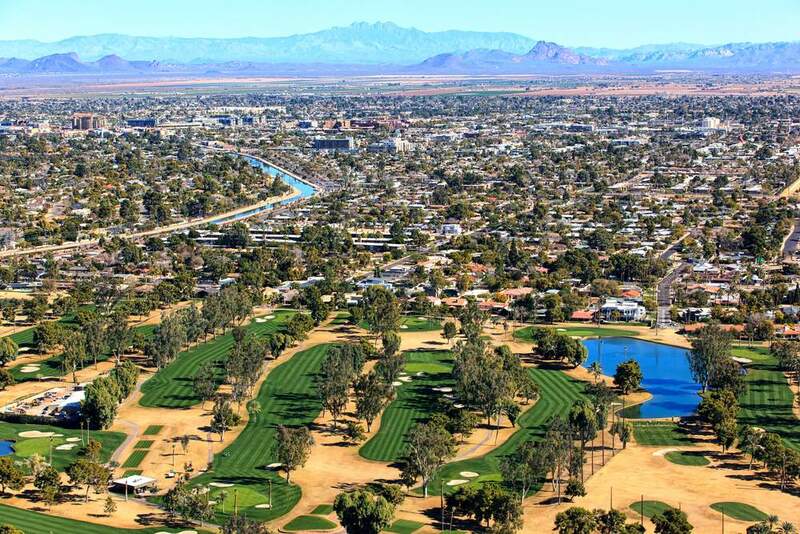 From chic hotels and an eclectic collection of dining options, to vibrant nightlife and outdoor activities, Scottsdale has it all. In Scottsdale, our top hotel pics are The Phoenician and the Omni Scottsdale at Montelucia. The Phoenician is more expensive, but it is worth every penny. Surrounded by the stunning Sonoran Desert sits this luxurious AAA 5 Diamond Award-winning resort. You may not even want to leave this place, which boasts 9 pools, a 27-hole championship golf course, and on-site cuisine options ranging from modern Italian to steak & seafood. The Omni is more affordable, and you’ll fall in love with this resort’s Mediterranean charm. All rooms include a private patio or balcony with views of Camelback Mountain. The abundance of dining options in Scottsdale will make your mouth water! Check out some of the casual-cool options like Rehab Burger Therapy and Barrio Queen Tequileria, and make dinner or brunch reservations at Arcadia Farms Cafe, The Greene House, or Pink Pony. It’s difficult to go wrong with any of these choices! We recommend booking the Sunrise Hot Air Balloon Ride in Phoenix with Breakfast for your bachelor/bachelorette group in Scottsdale. Enjoy a 45-minute ride over the Sonoran Desert, then settle into a champagne picnic breakfast after the ride. This is available for up to 20 people. Be sure to explore Old Town Scottsdale and Marshall Way Arts District, plus plan a day of outdoor fun at McDowell Sonoran Preserve or the Desert Botanical Garden in Papago Park. Call us at 402-281-3022 and let one of our specialists help you to plan the perfect bachelor or bachelorette party getaway for your group!